Ignoring the importance of migrating legacy IT customer communication systems to the next generation CCM solutions is almost impossible. 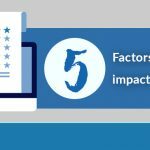 Especially, in industries like banking, insurance, Utility, Telecom, etc., where most of the processes are document-intensive. 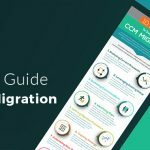 Though CCM Migration is a tough task but with the right guidance, it can be a seamless process for organizations. FCI is revolutionizing the customer communications for its clients who are in consumer facing businesses. We help organizations of all sizes deliver amazing digital experience to their customers with the help of dynamic, interactive and highly personalized communications. FCI provides customer communication management solutions and services to help organizations improve operational efficiency, support regulatory compliance, and drive business growth. © 2019 FCI (Friends Color Images Pvt. Ltd. & FCI CCM, Inc.) All Rights Reserved.